After a strenuous climb to reach this colony, here was a stem of Lilium rubescens that was nothing but pure beauty and perfection. Its condition was perfect, a day earlier, there would not have been nearly as much pink, a day later, the first flower would have started to wither. Every pollen grain was in place, it had never even been touched by an insect. Only God could have made something this beautiful. 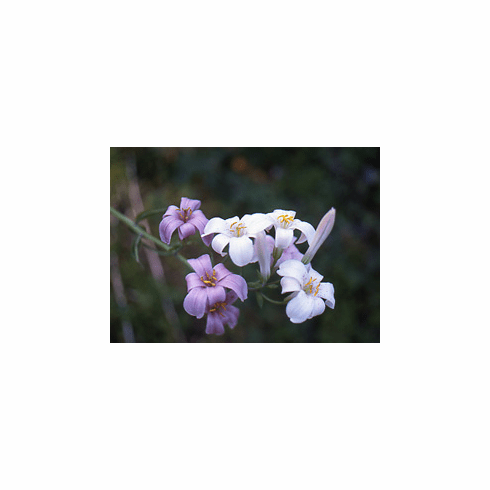 Growing at a 90 degree angle from a steep hillside, every flower was looking upwards, to Heaven. Photo inset copyright Tom Hilton. 'L. rubescens' along the lower Long Canyon Trail, Trinity Alps Wilderness. Courtesy WikiMedia Commons. This file is licensed under the Creative Commons Attribution 2.0 Generic license.